58th day of the year. There were then 307 days left in 2019. 69th day of Winter. There were 21 days left till Spring. take a little moment and remember how blessed you are. 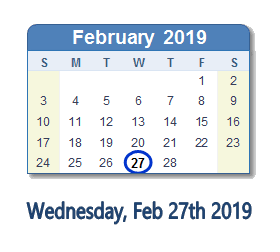 What happened on February 27th 2019?